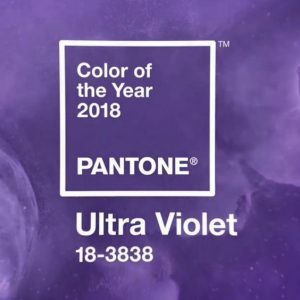 2018’s color of the year is PANTONE 18-3838 ULTRA VIOLET! Though it might be a bit bold for some interior design styles, it is the symbolic meaning of limitless desire that brings forth a creative energy for the new year. 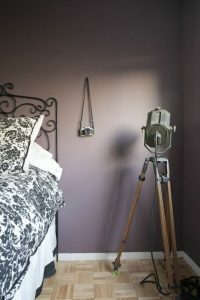 If Ultra Violet is a little too much for your taste, try a few of these 2018 color trends that are paving the way for interior design. Think, Berries: If you’re not totally against Ultra Violet, but looking for something a little more tame, try berry inspired hues. They’re inviting and add a lot of personality. From bold reds to warm purples or plush pink, there’s a berry color for everyone. 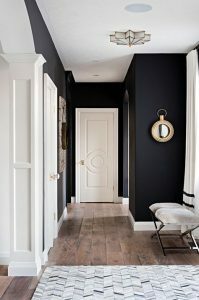 Black is Back, It’s Here to Stay: Whether it’s an accent wall or your entire hallway, black is edgy and chic. Pair it with white trim or with natural wood for an equally cozy and sophisticated design. 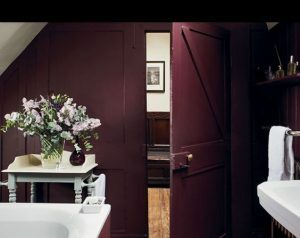 If you’re not quite ready for the bold rich color, try a dark purple tone for a softer impact. 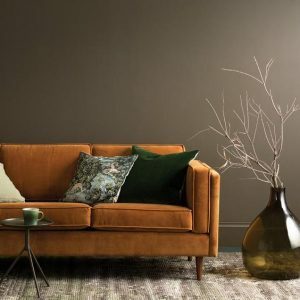 Keep it Earthy with Olive Brown: You can’t go wrong with dark earthy colors. It’s elegant and homey. The warm undertones can be matched with both traditional and contemporary styles. All You Need is Some Sunshine: Yellow inspires, brings energy and light into any space. 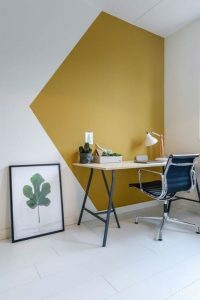 It can be a gold-ish tint or mustard yellow, the sunshine-inspired hue is perfect for any home office, living room, or kitchen. 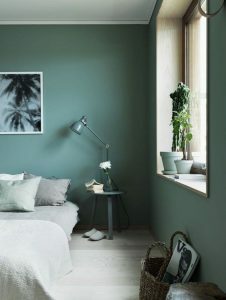 Spread Peace & Tranquility with Blue-Green Vibes: What better way to end your day by going home to a quiet and calming space. 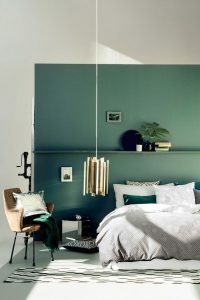 The Blue-Green trend promotes simplicity and a relaxed, mellow nature. The color can be found mostly in bedrooms or living rooms with a coastal theme.